A Montgomery County Agricultural Fair official says a boy and ride operator were hurt in an accident on a swing ride. 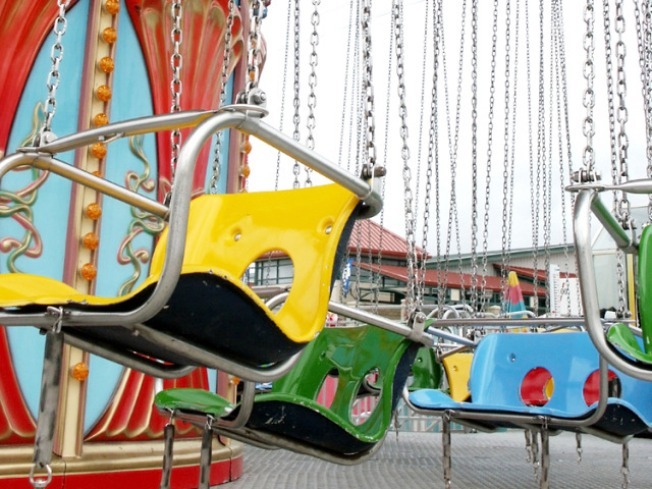 Witnesses said one of the children on the swing ride "The Vertigo" on Tuesday hit the fence and video shot by WTTG-TV shows a swing hitting an operator in the head and knocking him down as he tries to help. Fair Executive Director Martin Svrcek says the ride operator was alert when he was taken to a hospital and a boy who hit the fence was treated for injuries to his foot. Both have been released from the hospital. The ride manufacturer, the carnival that operates the rides and the state regulation office will inspect the ride Wednesday. Svrcek says "The Vertigo" is closed until inspectors determine what happened and make sure it doesn't happen again.